Quick, incisive and versatile, Antoine Griezmann is the ultimate modern forward. Arriving in 2014 to join an Atl tico Madrid side persistently challenging for the biggest trophies in Spanish and European football, he quickly established himself as the team's key player and main goal threat. A Super Cup win over city rivals Real Madrid was just the start but an inspired tilt at the Champions League the following season ended in heartbreak - as did a Euro 2016 campaign in which his performances for France saw him named player of the tournament. 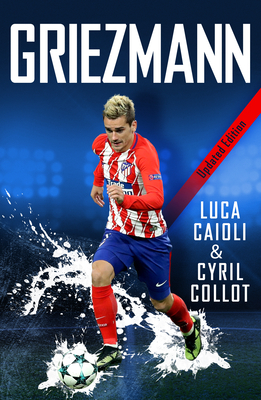 In this first biography of the Atl ti and France star, Madrid-based journalist Luca Caioli examines the story behind Griezmann's rise to the top. Luca Caioli is the bestselling author of Messi, Ronaldo, Neymar and Suarez. A renowned Italian sports journalist, he lives in Spain corresponding for SKY Italia and Corriere della Sera.